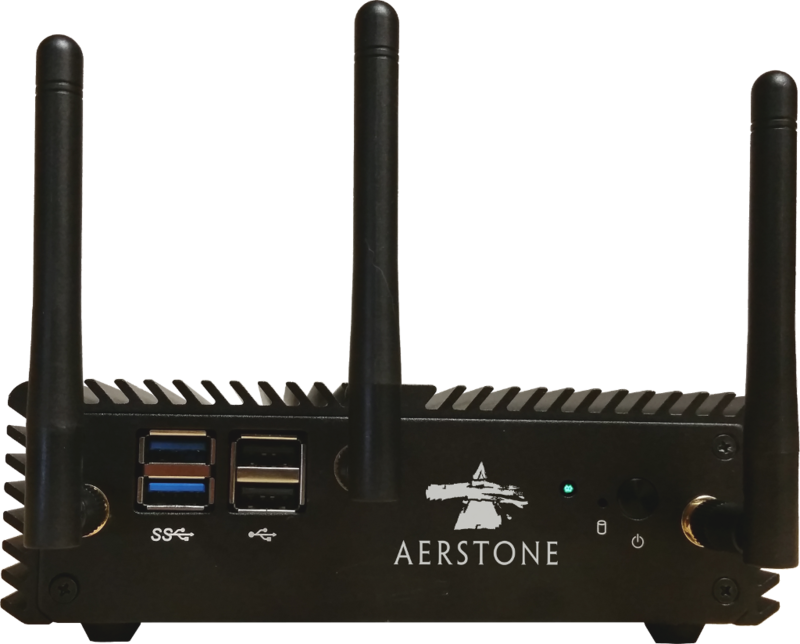 AerStrike™ is a small customized VPN appliance, roughly the size of a brick, designed to support remote penetration testing activities. The device comes in a soft shell padded case, and may be shipped to remote locations either temporarily or permanently in advance of pentesting activities. The device is dual-homed: one NIC connects to the target network, and the other NIC to a corporate VPN concentration point (either over a corporate WAN or the public Internet, as required). The device comes standard with the freeware Kali Linux suite of pentesting tools, and may be customized to meet specific customer requirements. Upon deployment, the appliance automatically initiates a reverse VPN connection back to the VPN endpoint; this outward-facing NIC does not expose any ingress ports or services. Centrally-located testers may then use the AerStrike™ device as a bastion host for local testing. After testing, each device may be shipped back for re-imagining and re-deployment.